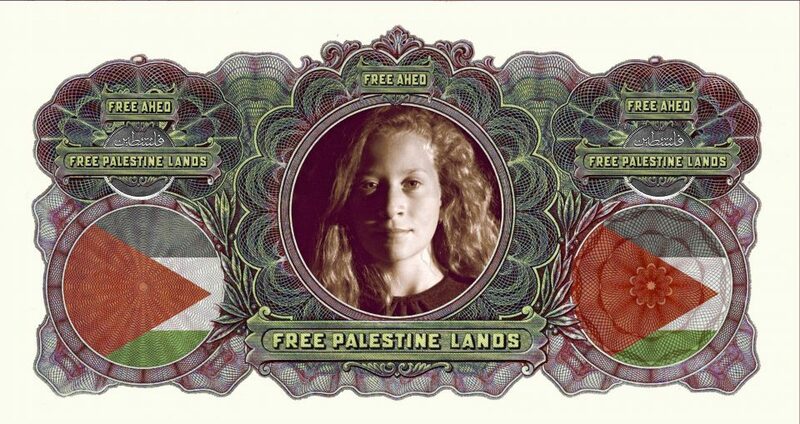 Front: (1) Ahed Tamimi portrait. (2) Palestinian Flag. 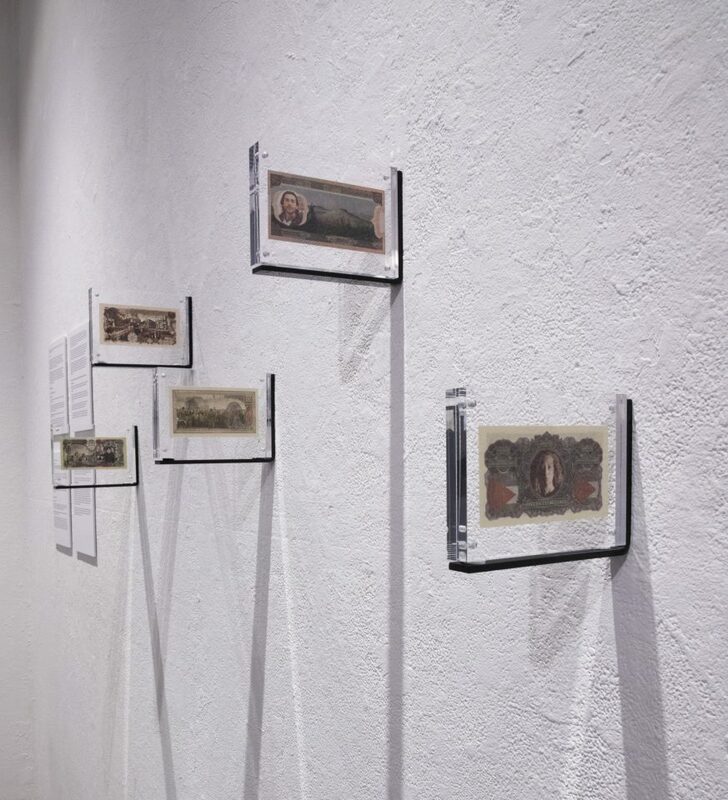 (3) Palestinian Banknotes. Back: (1) Nabi Saleh Village, (2) Ahed Tamimi holding Palestinian flag. (3) Dome of the Rock, Islamic shrine located on the Temple Mount in the Old City of Jerusalem taken from 100 toman Iranian banknote. (4) 1927 Palestinian coin. 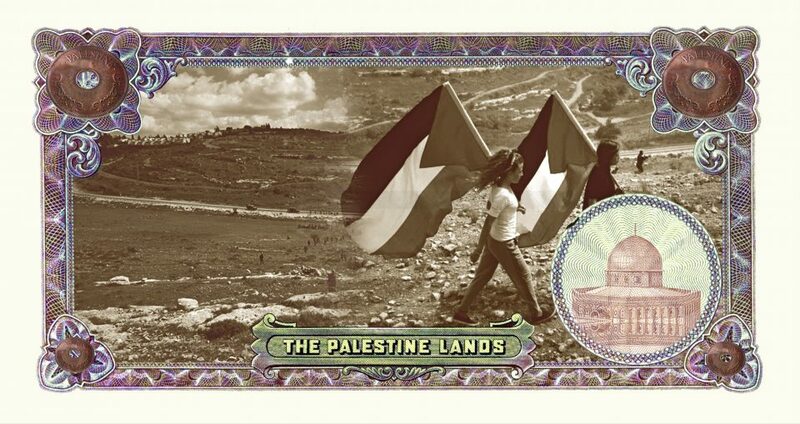 (5) Palestinian Banknotes. 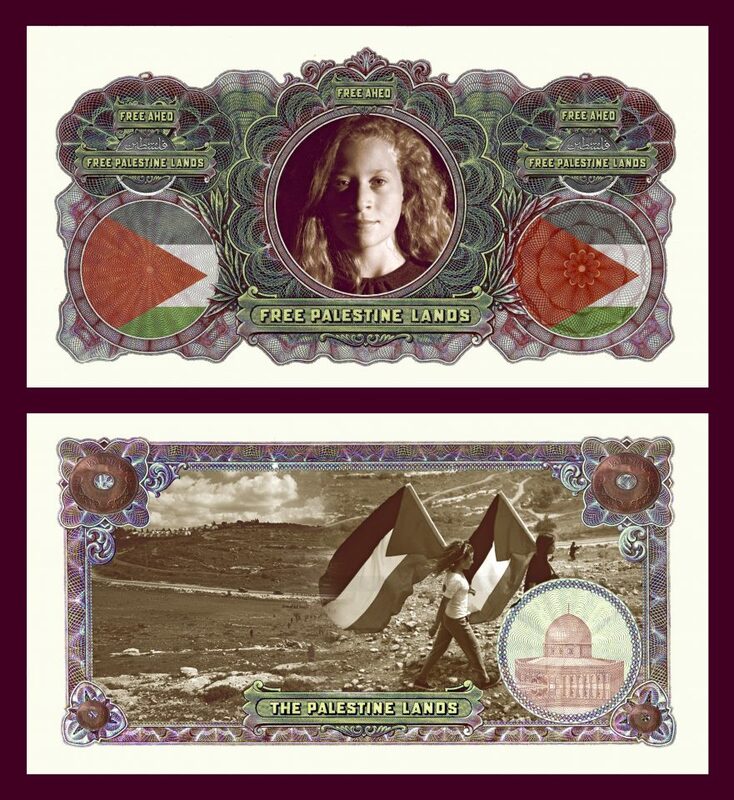 This banknote uses designs from old Palestinian pounds and images from news media to honor Ahed Tamimi, the 17-year-old Palestinian activist and freedom fighter who is currently being detained by Israeli forces. On December 15th, 2017, two IDF (Israeli Defense Forces) soldiers that were stationed in Nabi Saleh entered Tamimi’s house to stop the protesters following the outbreak of riots in the area. Earlier at the protest, Tamimi’s younger cousin was shot in the face at a close range with a rubber-coated steel bullet, which severely wounded him. Ahed grew up in an environment that was a site for frequent protest against the Israeli colonial settler regime that has been expanding settlements in the West Bank Area. Ahed and her family are well known and respected for their valuable contributions to Palestinian resistance in the West Bank village of Nabi Saleh and beyond. Islamic Relief USA is a community of humanitarians–staff, volunteers, affiliates, supporters, partners, donors–who have been working together for a better world for 25 years. In 1993, Islamic Relief USA became an independent (and legally separate) member of a global family of collaborating relief organizations that share a common vision, mission and family identity—connected through the use of the “Islamic Relief” name. Islamic Relief USA operates seven regional offices in the United States: in northern California, southern California, Illinois, Florida, New Jersey, Texas and Virginia, which is its headquarter location. These IRUSA offices have been serving to educate, inform, and raise awareness about our various relief and development projects for years. 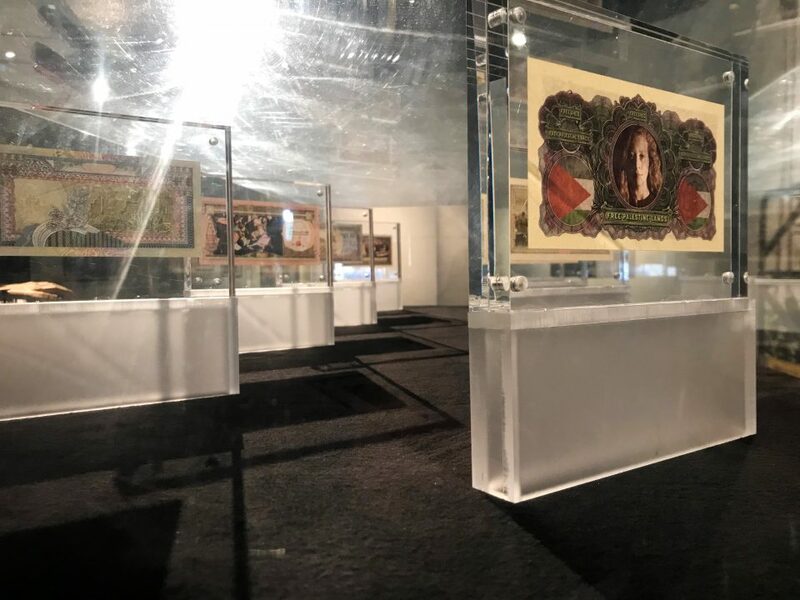 Additionally, IRUSA holds seminars, banquets, concerts, and other public awareness programs across the country to help fund domestic and international projects.